Logo, letterhead, mug and wall graphic design for educational publisher. 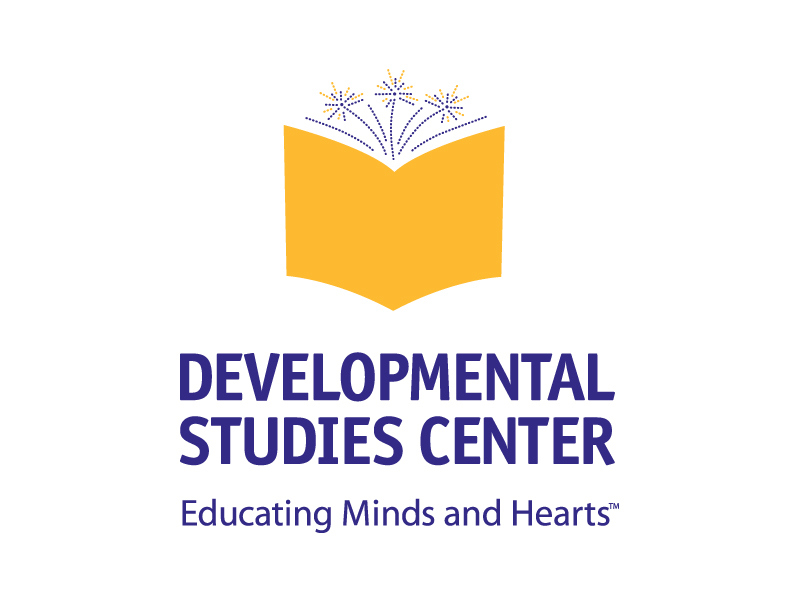 This identity package was designed for Developmental Studies Center (DSC), a nonprofit educational publisher of primarily literacy materials. 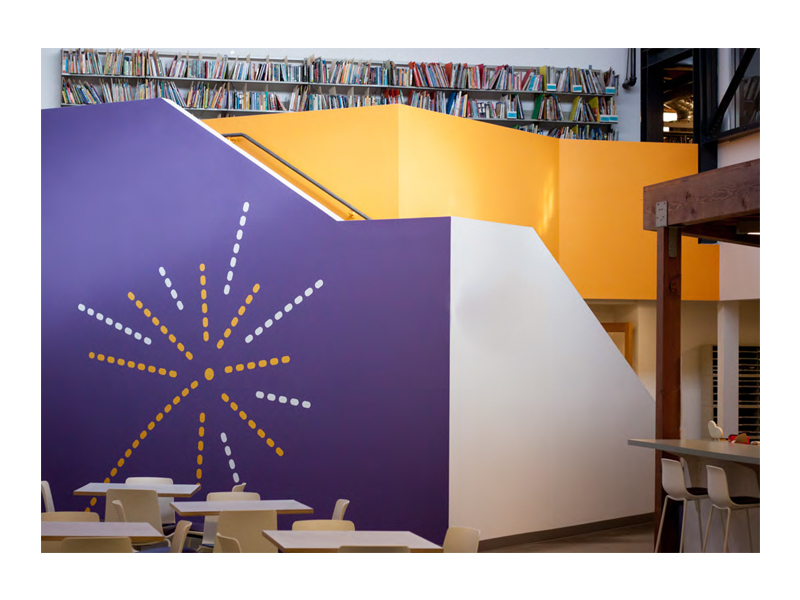 The book graphic represents literacy, while the sparkles represents both pages of an open book and the spark of learning. 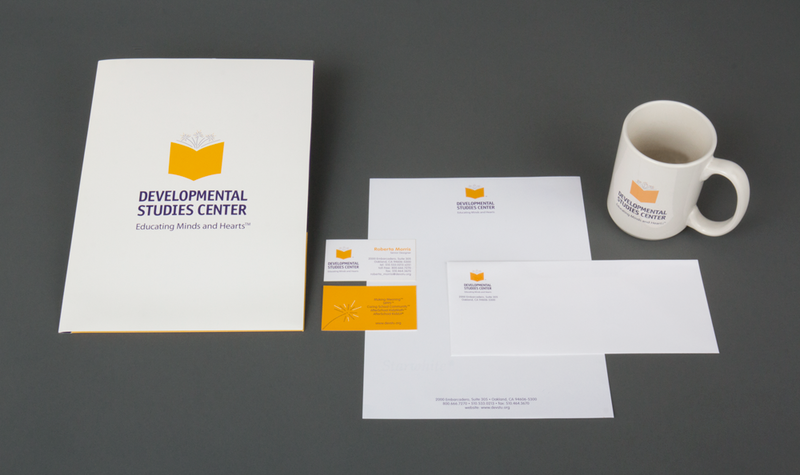 Below are shown the logo design, stationery package with mug, and office space wall graphic.